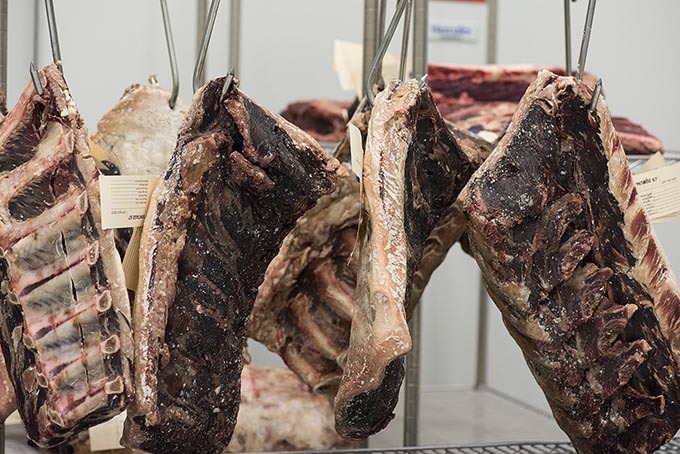 These loins have been Dry Aging for 21 days in the Federally inspected Dry Aging room. 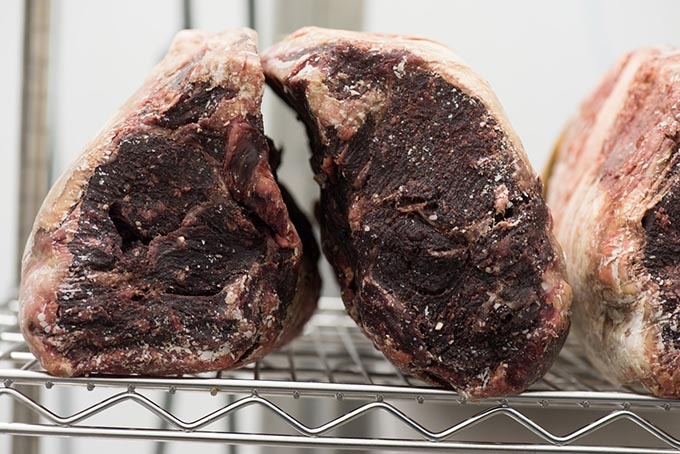 After 35 days of Dry Aging they will be processed to the customers precise specifications. These loins have been Dry Aging for 28 days. After day 35 the dark crust or bark will be removed exposing the flavor intensified Dry Aged beef! 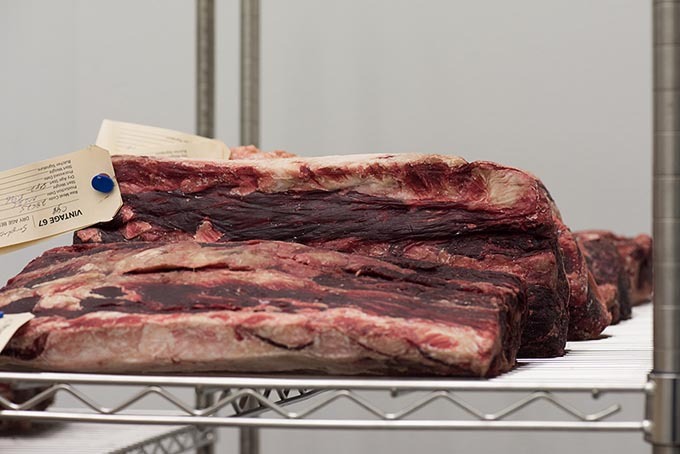 These loins have been Dry Aging for 28 days and will remain in the Dry Aging room for another 7 days, to ensure the meat inherits all of the palatable attributes of Dry Aged beef. 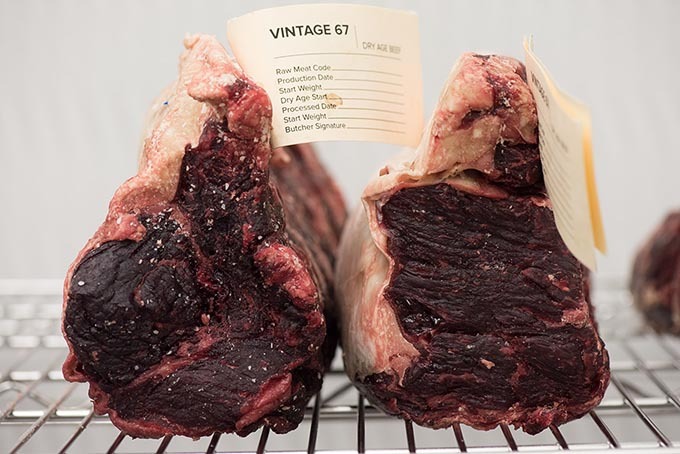 Dry Aged Beef - Five Weeks. After 5 weeks of Dry Aging the loins have taken on a very dark color and have lost about 25% of their moisture..